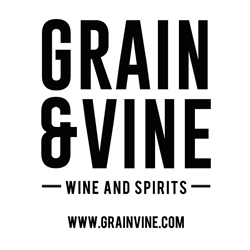 The owner of Grain & Vine, a boutique wine and spirits store located in Brooklyn, New York, is pleased to announce that he is hosting a Grand Opening celebration on July 18. The event will feature a red carpet, scrumptious food, wine tasting, music, and a raffle. The store, located at the crossroads of Broadway and Union Avenue, welcomes the community to browse its eclectic selection both in person and online. Those who cannot make it to the Grand Opening and wish to shop from Grain & Vine online will do so through the handy Postmates app, which allows people to easily place their order and have a Postmates courier deliver their purchase right to their door. To help wine aficionados enjoy their time at Grain & Vine as much as possible, the store features a dedicated parking lot for customers, as well as beautiful and comfortable custom made furniture. In addition, educational kiosks using iPads will be a strong draw for the young community, who will also appreciate the custom design of the store. “Michael, the owner of Grain & Vine, has an extensive tech background which he feels will be helpful in providing educational service and modern day technical services for his diverse customers,” a spokesperson for Grain & Vine noted. In addition, the spokesperson for Grain & Vine said, the store is located right next door to the new, 5,000-square-foot Brooklyn Harvest Market, which specializes in organic foods. Since Grain & Vine will sell a wide variety of delicious organic wines, this makes them a wonderful addition to the neighborhood. “This densely populated area of East Williamsburg along Union Ave is exploding and is very diverse and we will complement and attract the cultural expansion,” the company spokesperson noted, adding that Grain & Vine will also feature top quality artisanal wines, varieties that are grown right in New York state, rare and hard to find bourbon, and spirits from Brooklyn distilleries.